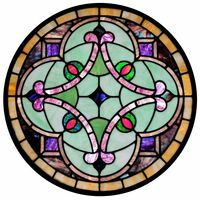 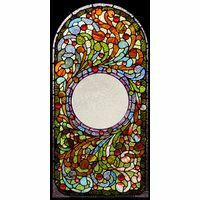 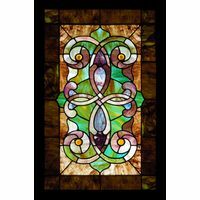 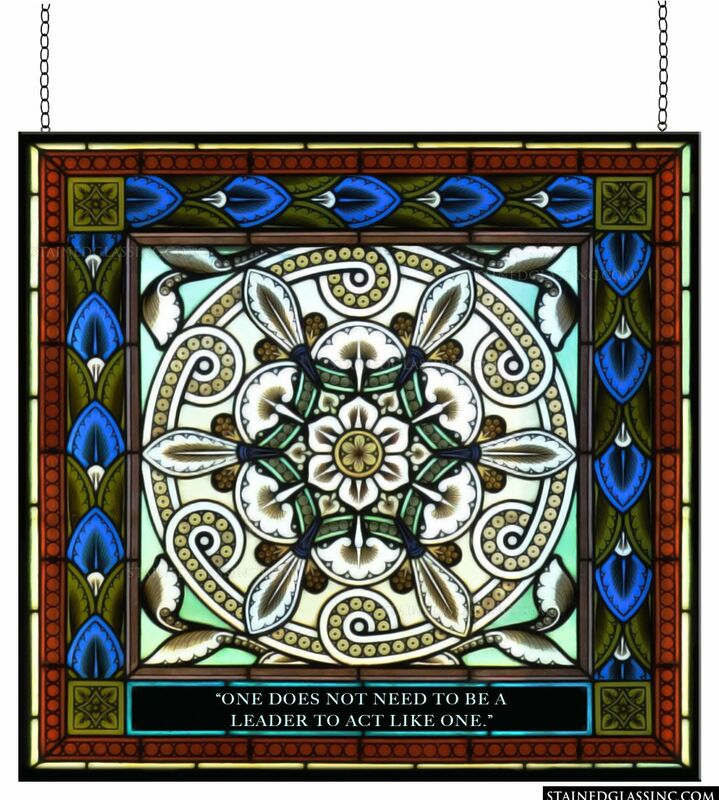 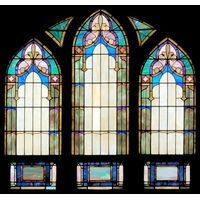 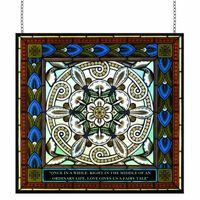 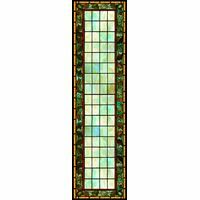 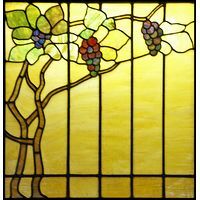 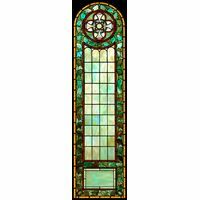 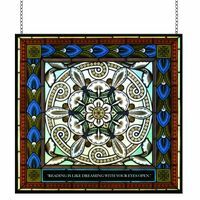 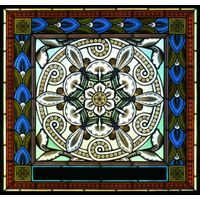 The square shape of this stained glass artwork makes it ideal to be used as a hanging stained glass art panel. 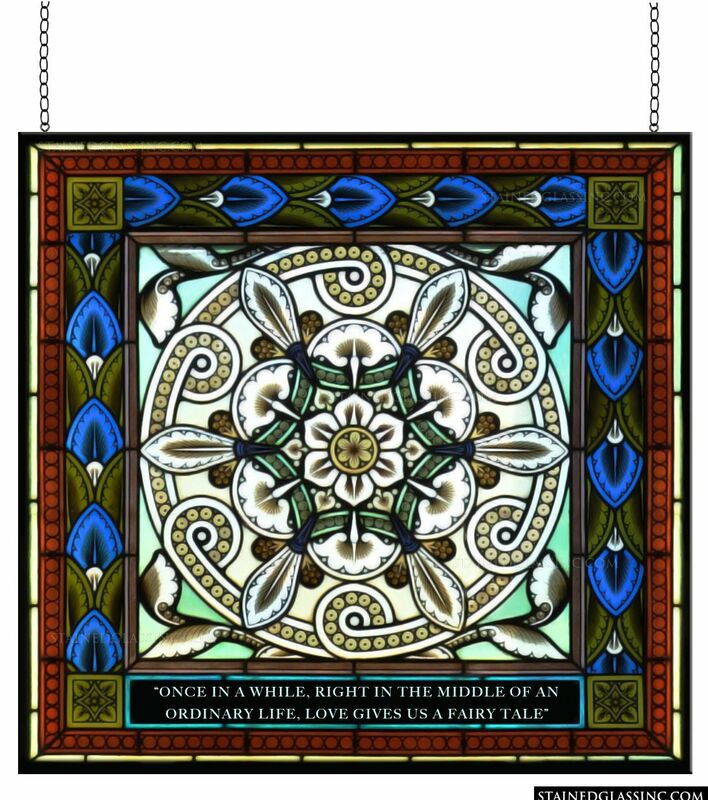 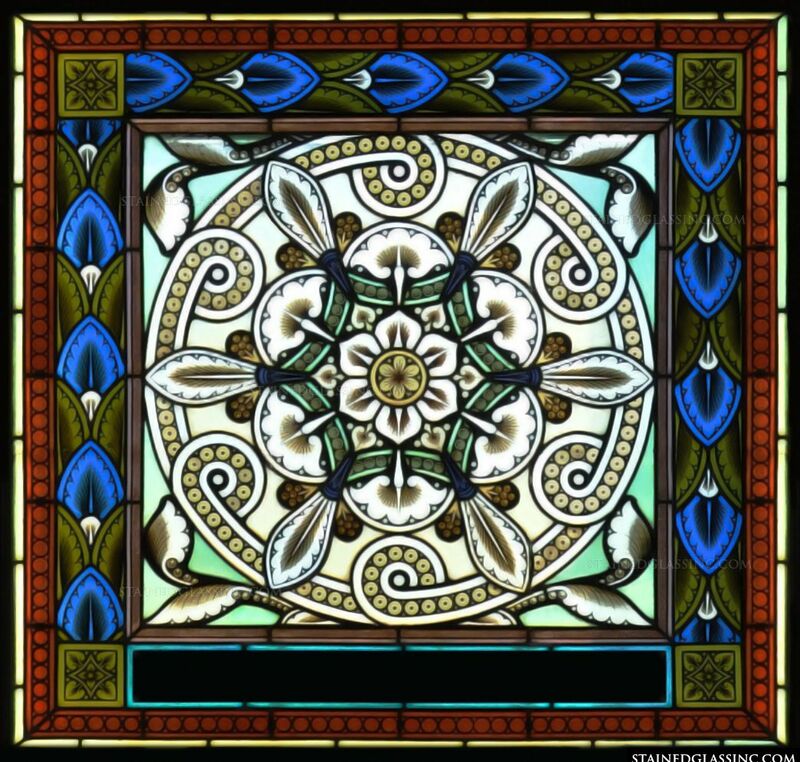 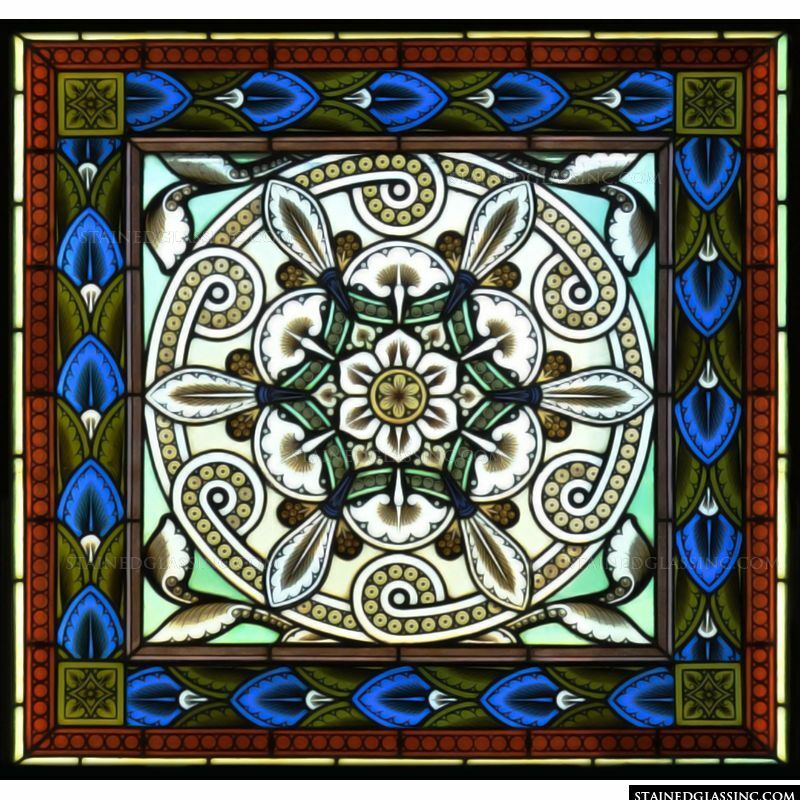 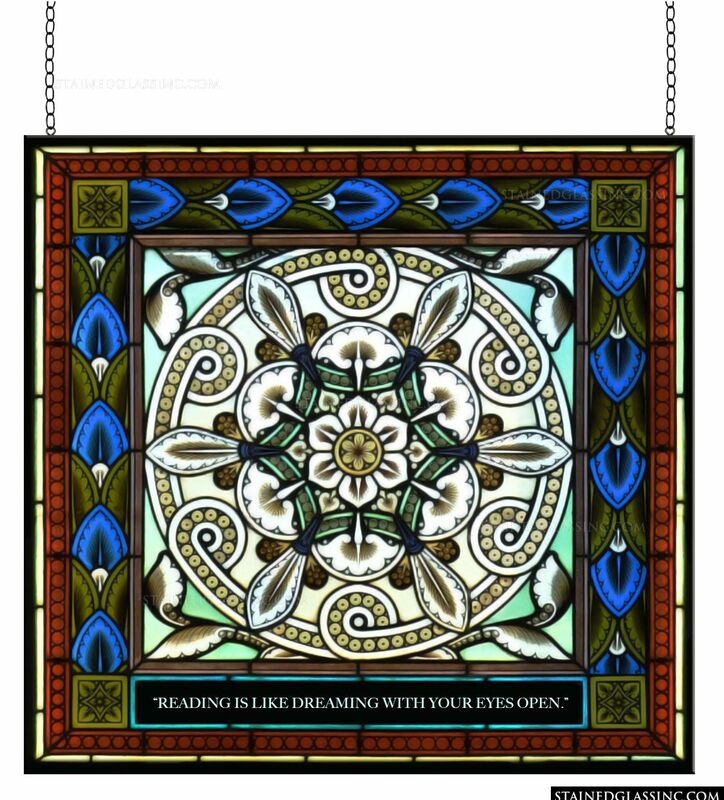 Stained glass hangings hang from chains attached to the ceiling or a window frame and are very easy to install. 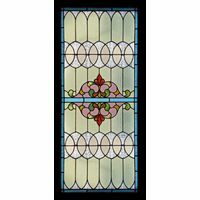 If you'd prefer, this panel also makes a great window or door insert and can be custom created to fit any size or shape window.